I’m very thankful, this week, for my spinning wheel. It centers me, and settles out the frustrations of my days. 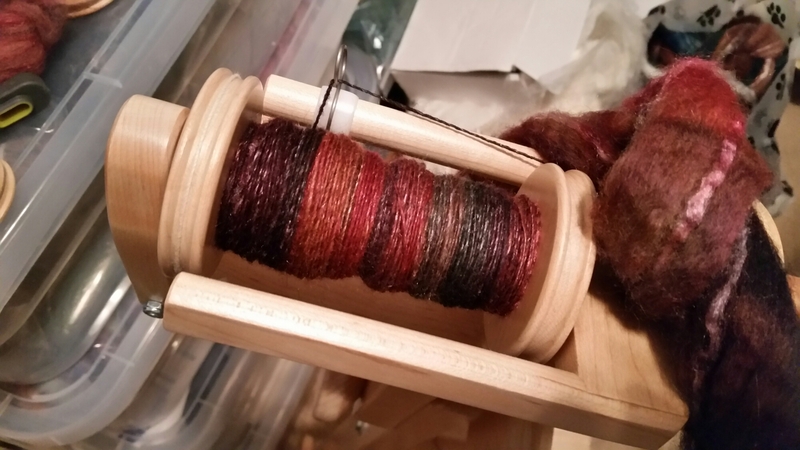 It helps that I’m spinning luscious BFL-Silk blend fiber, in gorgeous fall colors. Lovely feel and lovely result. The picture doesn’t quite capture the colors accurately – the fiber is less red and more purple. But this is pretty close. This entry was posted in Art, Fiber, Life and tagged Arts, Self-care, Spinning. Bookmark the permalink.